Tea Cup ride, Carousel, Mini-Ferris Wheel, Crazy Bus. Young kids can demand so many rounds on their favorite amusement rides once they get started. And they want to ride 'em all till they drop! Here's my share of those fun (and dizzying!) 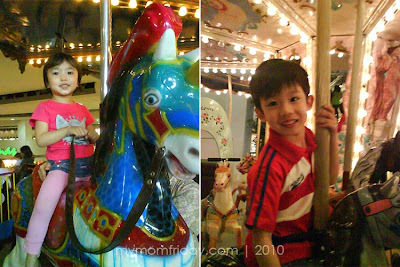 rides with the kiddos for this week's Mommy Moments. 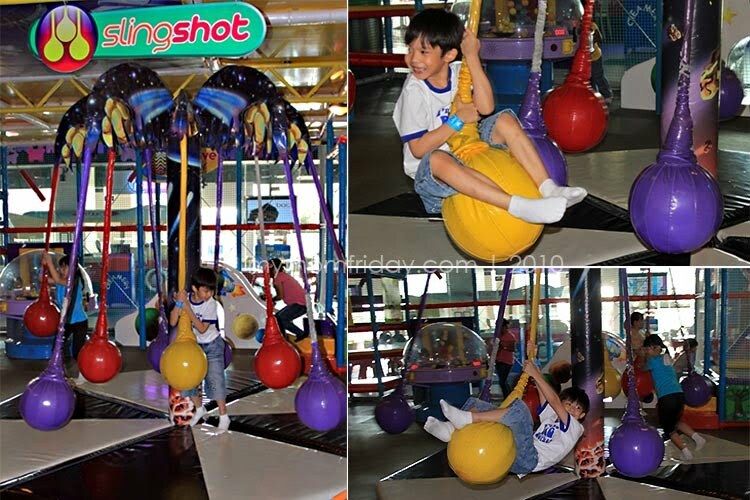 Having a blast, this is the little man's first try at Cosmic Kidz's Sling Shot ride in Kids Universe at SM Mall of Asia. He went for four rounds straight! Classic, all-time favorite Carousel ride at Shangri-la Plaza mall. '3 rides for P100' ticket please... make that two tickets. 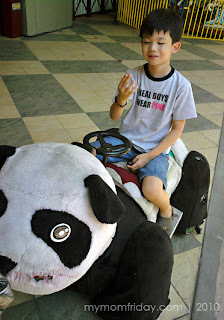 My boy finally tried this animal ride but found it boring...while my girl refused to get off this stuffed pony (though not an amusement ride) from the toy store. What's your kid's favorite rides? oh, don't get me started on rides! when we were in the philippines, G and i went on that Shangri La carousel for god-knows-how-many-times! i didn't know about that MOA place, though! fun fun fun.. the kids just love these rides! That sling shot ride sure looks fun! I'll let my son try that when he's much older. Thanks for dropping by my site, Mommy! 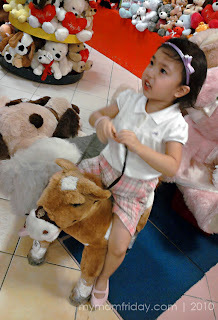 Jen - MOA is SM Mall of Asia and they have Kids Universe amusement center, one of the biggest I've seen. Chris - Yes, they can't get enough of them! Is that Kid Universe new at MOA? MOA is so big that I think I missed it! Jen - really don't know when they opened but Kids U was already there when you visited last year :) It's located on one end of the (huge) mall.